Audi will reveal an all electric drive super car concept during the 2018 Pebble Beach Concours Week. The designation stands for where it will be unveiled, Pebble Beach, and the year of its first display. The car will be in Monterey all week along side other Audi cars including street and racing machines. Many remember the Audi R18 e-tron with its turbo-charged diesel engines winning LeMans a few years ago. Using a great deal of the race track gained technology should give them one very interesting car. This new PB 18 clearly indicates how anxious Audi is to jump into what is to be the next great frontier, all- electric hyper cars for the street. Bringing this absolutely wonderful platform from race track to your local garage throws down the gauntlet, with an obvious challenge to cousin Porsche, and though not direct rivals, Tesla. 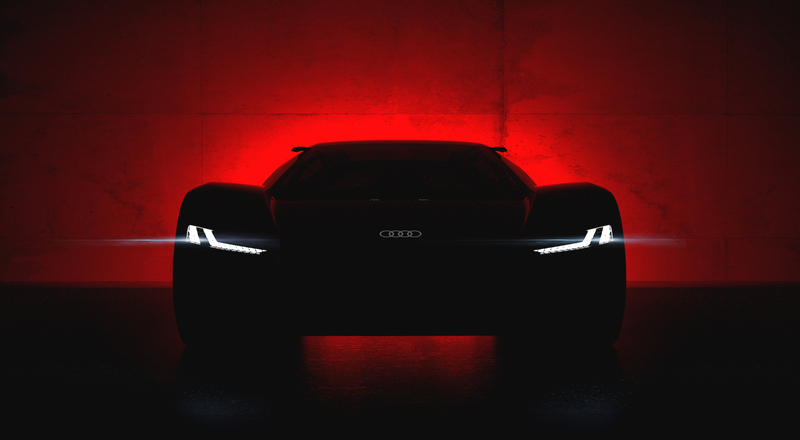 The Audi PB18 e-tron was conceived and designed in the Audi Design Loft in Malibu, CA.